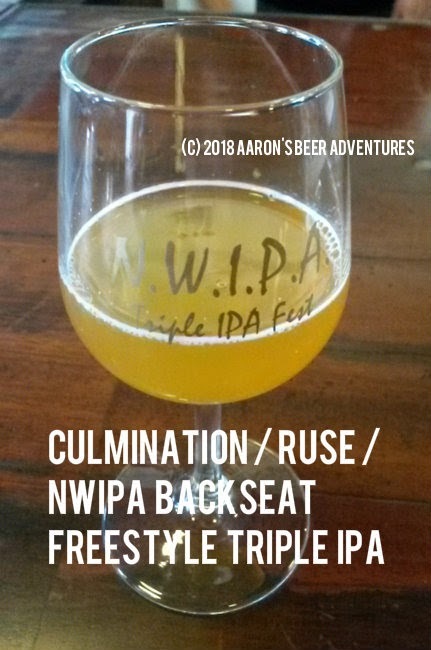 On March 3, 2018, I attended N.W.I.P.A. 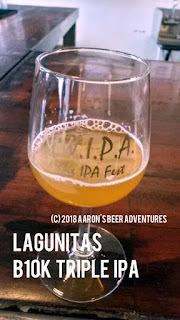 's 5th annual Triple IPA Fest. Aside from some great beer and seeing some good friends, I of course needed another souvenir glass to take home. 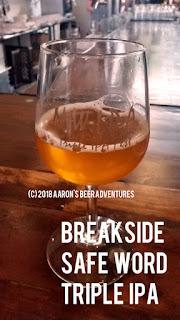 With my beer blog getting extremely backlogged with a gazillion reviews, this blog has taken over the beer events for now. 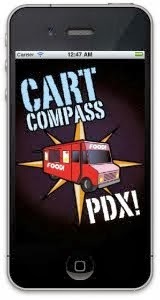 And technically, this was also a Portland food event, with chips, crackers, and pizza available. But we all know the crowd came and stayed for the beer. For $20, you got a souvenir glass and 10 tickets. One ticket got you a 2 oz pour, two tickets was 4 oz, and three tickets got you the full 6 oz pour. 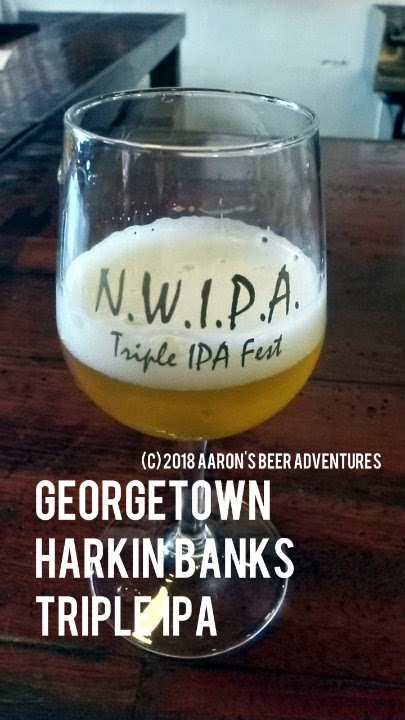 Ten different Triple IPAs were tapped for the event, so you could get ten different 2 oz pours or do whatever the heck struck your fancy. I elected not to try all ten this year, but still used up my tickets to try most of them. 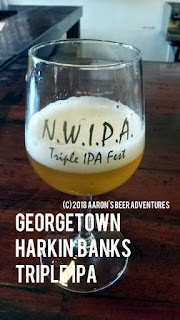 Hazy beers included Aslan's Megathrust and Georgetown's Harkin Banks. 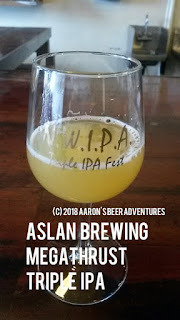 Megathrust was more malt/octane forward but had complementing citrus notes. Georgetown had more balance with sweet tropical flavors. I gave a thumbs up to both. 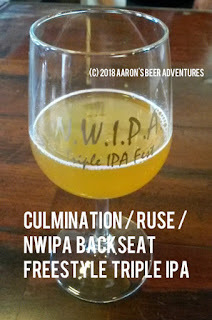 My two undisputed favorites were Lagunitas B10K and the Backseat Freestyle collaboration between Culmination, Ruse, and NWIPA. The B10K had an assertive tangerine, grapefruit, apricot, and peach, while Backseat Freestyle had a resiny/dank forward experience with complementing citrus tropical. 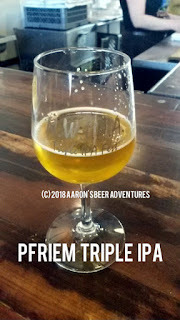 pFriem's Triple IPA (10.5%) and Breakside's Safe Word (11.1%) returned again this year to positive reviews. 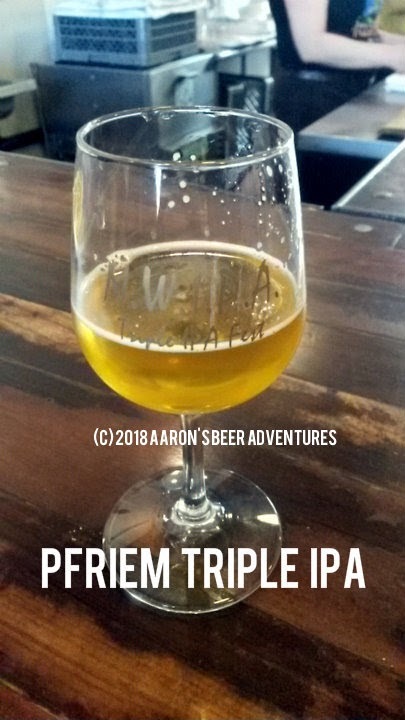 pFriem's had lovely sweet tropical throughout, some resin on the nose, and overall controlled citrus bitterness. Safe Word had more of a berry-like or sweet tropical component with obvious malt and octane to make you remember it was an 11% beer. Reuben's Blimey, That's Bitter had a mostly creamy tropical mouthfeel, malt-forward with dank notes. The citrus bitterness got more obvious as the beer warmed up. 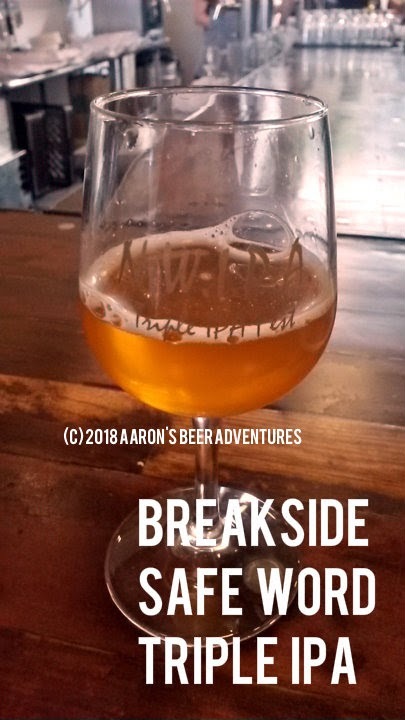 A few people I talked to did not care for Matchless' Blueberry Trainwreck, but it had a different flavor profile than the other beers I had. I got the blueberry on the nose and tongue. I found it malt/octane forward, with more floral notes and a citrus bitterness on the back end. 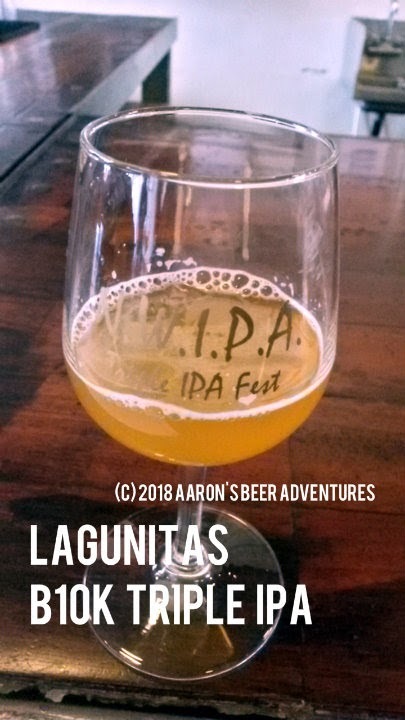 I did like the other beers more, but this was still not bad. Unfortunately, my phone camera was being very stupid and somehow forgot to save a picture of Blueberry Trainwreck. 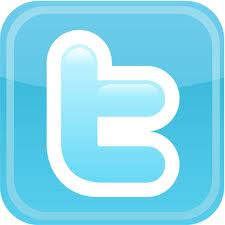 I know I took the photo, but apparently it did not save. 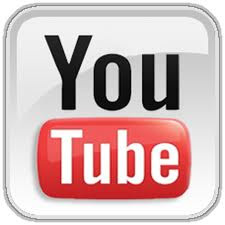 I was there for the first hour of the event, and the place got busy fast. Luckily, it was a beautiful day outside, so several people enjoyed their beer in front of the building. 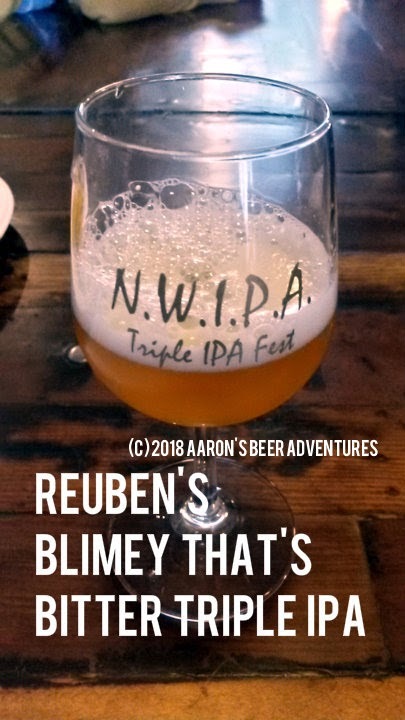 As always, I look forward to next year's Triple IPA fest!